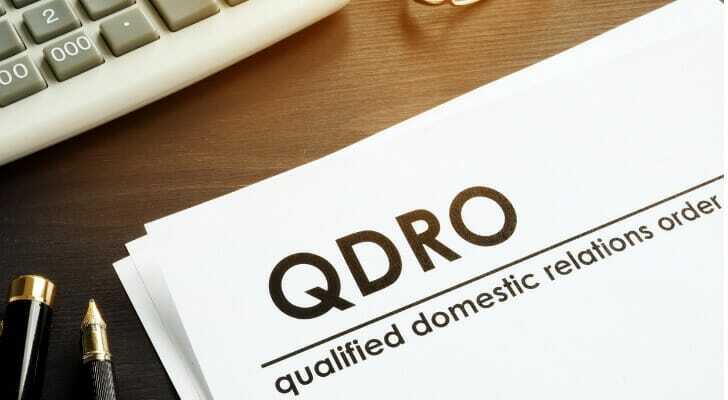 A qualified domestic relations order (QDRO) is a court order, judgment or decree that splits the contents of a retirement fund among divorcing couples. A QDRO can address three significant claims that a former spouse can have in a divorce: marital property rights, alimony and child support. In a QDRO, a spouse might lay claim to a retirement account in order to pay such claims. When a couple divorces they split up the marital assets. That includes any and all retirement funds. But unlike cash on hand or salable assets such as a house or car, retirement funds have certain protections by law. The court cannot simply order that the parties empty out their 401(k)s and divide the result in half not least because doing so would end up harming both parties due to the tax penalties for early withdrawal. Instead a court will issue a qualified domestic relations order. This order establishes that one spouse has a claim over some of the assets in the other spouse’s retirement account. It orders that retirement account to make payments to the ex-spouse as well as to the account holder, and sets an amount for those payments based on the divorce settlement. One benefit of a QDRO is that it allows for early withdrawals from a 401(k) without incurring a penalty. As a result, these funds can be disbursed to the appropriate party even if they’ve not yet reached age 59 1/2. A QDRO can apply to any retirement account or pension plan governed under the Employee Retirement Income Security Act (ERISA). However, IRAs are not covered by ERISA for the purposes of a QDRO. Instead, IRAs are split under the typical distribution of marital assets as part of the divorce settlement. Specific details vary from case to case. However, judges often look to the date of the marriage as a benchmark. Any money that a spouse put into the account before the marriage will often be protected, as it is not a marital asset. Robert and Susan are getting a divorce. They have been married for five years and Robert has a 401(k) currently worth $100,000. He has had this account for 10 years and it grew by a total of $50,000 (including both contributions and investment interest) during their marriage. Robert keeps the full $50,000 of his 401(k) that accrued before the marriage. This is not part of the marital estate. The $50,000 contributed and generated during the marriage is considered a marital asset. Robert and Susan will split it evenly. Susan has the right to withdraw $25,000 from Robert’s 401(k) under a QDRO as she now owns this money. Susan is a freelance photographer and has an IRA. It contains $40,000. She began investing in this account four years ago. As a result, the full value of this IRA is a marital asset. Since Susan’s IRA is not an account covered by the ERISA statute for the purposes of a QDRO, the parties will not need a court order to divide its assets. They will split that account during the divorce negotiations as if it were any other portfolio. A QDRO requires several steps. The parties and their attorneys typically will draw the QDRO up. After this a judge must sign off on it. They then must approach the administrator of the retirement plan to determine that specific plan’s process for handling a QDRO filing. Every plan governed by ERISA is required to have a process for this, and the parties must follow that process to the letter. The retirement plan administrator can take up to 18 months responding to the parties. Without this information, the QDRO will fail. Once an ex-spouse receives a QDRO they can begin to take money out of the account as if they were a plan participant. They also pay a share of the account’s costs based on their share of the account under the QDRO. An ex-spouse may simply be able to pull all of their money out of the retirement account in cash. While they will pay taxes as normal on this income, due to the QDRO an ex-spouse will not pay the tax penalties for early withdrawal from a retirement account. This is one of the rare instances when you can withdraw money early from a retirement account with no penalty. Under a standard QDRO an ex-spouse may roll their portion of a retirement account into a new account and plan. This is analogous to transferring a 401(k) from one employer to another. An ex-spouse can transfer the funds between retirement accounts without paying either income taxes or penalties, as they would any other rollover. If the ex-spouse would like to keep their interest in the existing retirement account, the parties can draft a QDRO that leaves the account indefinitely split. The ex-spouse can make contributions to this account and eventually withdraw their share of both the original marital assets along with any future growth. While an ex-spouse does not need to be retired to receive payments under a QDRO, a retiree can also choose to receive distributions as either a lump sum or regular payments. Retired ex-spouses may elect to receive payments under the retirement account as though they were a standard plan participant. A QDRO may also be written to benefit someone who is not an ex-spouse. The most common vehicle for this is when the court will use a retirement account as a means of securing child support. In this case the court will nominate a trustee to receive the QDRO payments on the minor’s behalf. Typically this will be the child’s guardian (which will often be the ex-spouse). From there the QDRO will operate as normal. Payment amount, form and structure will be specified in the QDRO and the retirement account will make those payments. The money will be taxed as ordinary investment income but will not be subject to early withdrawal fees. It will be paid to the minor’s guardian to spend on that child’s welfare. Consider your retirement income. The basic math of retirement planning centers around finding ways to replace your income once you’ve stopped working. Part of that income will likely come from Social Security; the rest, you’ll need to fill in with your own savings. Use our retirement calculator to see if you’re on pace to meet your retirement income needs. Speak to an expert. Retirement planning is already a complex process. It gets even more complex when divorce comes into play. 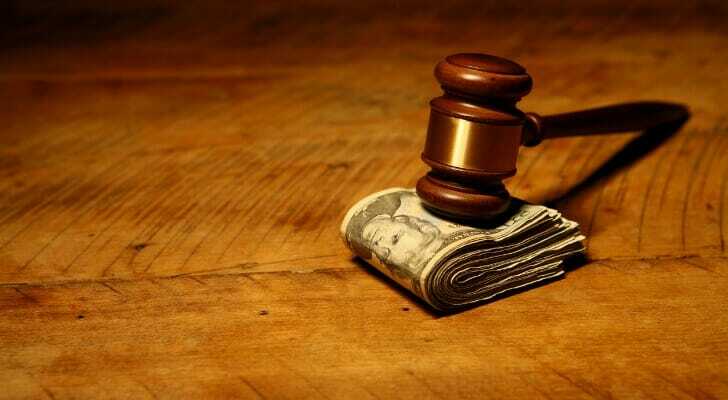 You’ll have to take your assets into account, as well as expenses related to the settlement process. Balancing all of this can be difficult, which is why it pays to get help from a financial professional. SmartAsset’s financial advisor matching tool can help you get an advisor by finding advisors in your area who meet your specific needs. The post What is a Qualified Domestic Relations Order? appeared first on SmartAsset Blog.